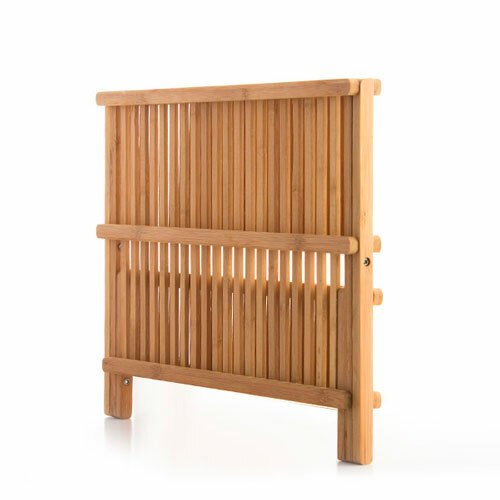 This dish drainer is collapsible, meaning that it can be put away once the dishes are dry and back in their cupboards. As a decorative item, it will look great in any kitchen! Dimensions when folded: approx. 42 x 35 x 3 cm. Dimensions when unfolded: approx. 42 x 32 x 26 cm. 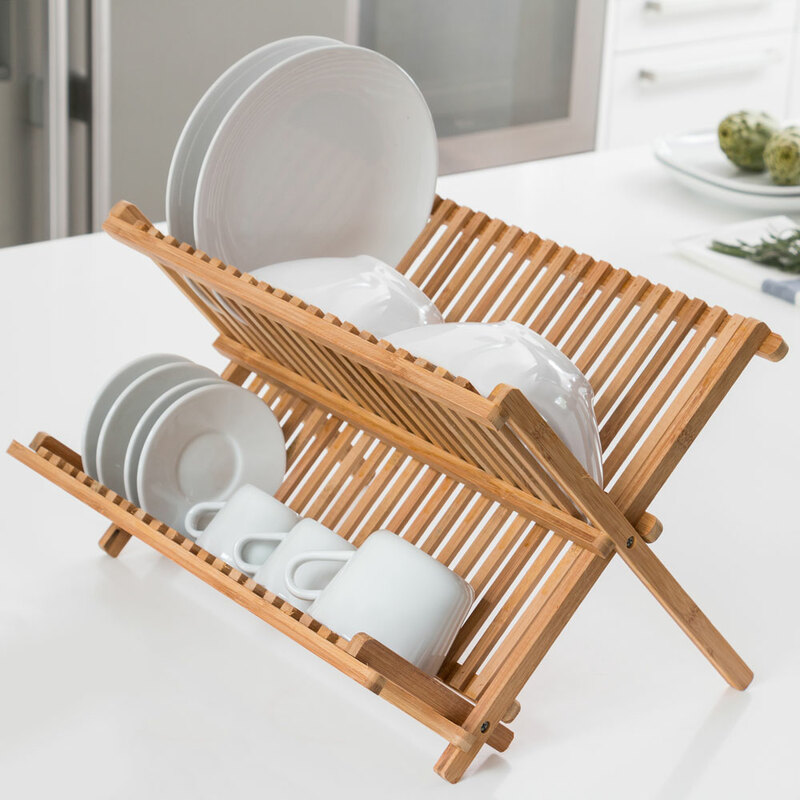 The dish drainer has an upper rack for plates and large kitchenware and a lower rack for glasses, cups, etc.